We’d like to send you our monthly Fast Car Newsletter, exclusive offers and news by email. Please tick this box if you are happy for us to do this. German automaker Daimler has put its money where its mouth is with its promise of a fully electrified future: the company announced Tuesday that it will purchase $22.75 billion worth of batteries through 2030. The automaker has plans to not only go all-in on electrification for the Mercedes-Benz brand, but it will also electrify its commercial vehicle and bus lineup. Daimler has already shared some of the electric trucks and buses it plans to put into mass production in the next few years. 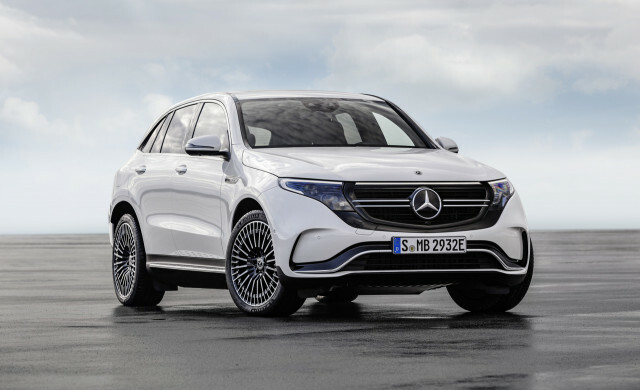 At Mercedes-Benz, executives have promised 130 electrified vehicles through 2022. It’s important to remember what actually qualifies as an “electrified” vehicle within the industry. Electrified ranges from a 48-volt mild-hybrid system, to a plug-in hybrid vehicle, to a fully electric car that does not feature an internal-combustion engine. Expect most of the electrified Mercedes vehicles to feature the former two solutions. However, the luxury brand plans to launch at least 10 electric cars by 2022. The first of them will be the 2020 EQC, a 200-plus-mile electric SUV. Sales of the SUV will begin in some markets in mid-2019, but we won’t see it arrive in the United States until 2020. Expect an EQA small car and EQS sedan mirroring the traditional S-Class to be a part of the strategy, too. While the world’s automakers go all-on on electric cars, controversy often surrounds the way suppliers obtain the precious Earth materials needed to manufacture lithium-ion batteries. Daimler said in its announcement that it will protect human rights with what it calls the Human Rights Respect System. The system intends to hold suppliers accountable for how they source their materials for the batteries Daimler plans to buy. Any new supplier will be thoroughly vetted by some 700 engineers and human rights experts in the field before executives sign off on a supplier contract. Although $22.75 billion is not an insignificant amount of money, fellow German auto giant Volkswagen Group has it beat. The automaker announced in May that it plans to boost its battery purchases and will spend $48 billion. But, the automaker ideally wants to spend as much as $50 billion to cover its needs for future electric cars through 2025. Expensive cars often come with lofty maintenance charges, but the Bugatti Veyron is something else entirely. The $1 million-plus supercar’s turbochargers cost over $42,000 to replace, according to an EPA document Road & Track reported on last week. To break down the extent of the cost, it will set owners back $21,000 per side. The Veyron features a quad-turbocharged 8.0-liter W-16 engine to produce its astounding 986 horsepower in standard guise and 1,183 hp in Super Sport flavor. For those on a budget after buying a Veyron, hope only one side needs replacing. However, we doubt millionaires adhere to incredibly strict budgets. And the air chargers the turbo sends air to? Those are $9,000 each, and Bugatti will charge $2,000 to install new ones. Another incredibly expensive component is the fuel tank, which will cost owners a grand total of $42,000—$20,000 for the part, and $22,000 for technicians to install the fuel tank. But, not everything on the French supercar is bespoke and costs thousands of dollars. In fact, the Veyron actually pulls a small number of parts and components from the Volkswagen parts bin. For example, the camshaft position sensors cost just $9 each since they’re also found in the Volkswagen Golf and Jetta. Reality check: working on a Bugatti is not like a VW, however, and those $9 sensors will cost $7,200 to replace after labor. Ouch. And the boost pressure sensors can also be found in the Golf GTI or Audi A3. They’re just $20, but again, expect a $1,800 labor bill. All of the simple and relatively cheap components have exuberant labor costs associated with them. Why? 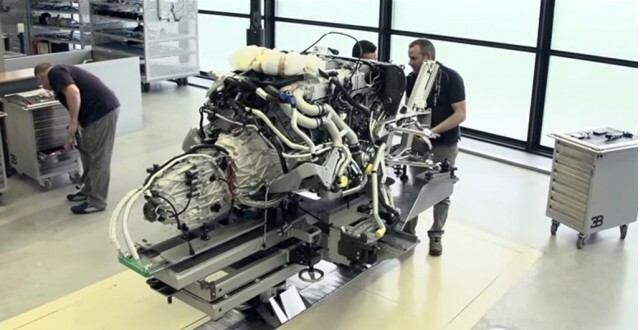 The Veyron often requires a lot of disassemblies to install parts. The rear deck might need to be removed, or the engine could require disassembly to reach obscure parts. But, as we said, coughing up thousands of dollars in maintenance is probably just a drop in the bucket for the supercar’s owners.